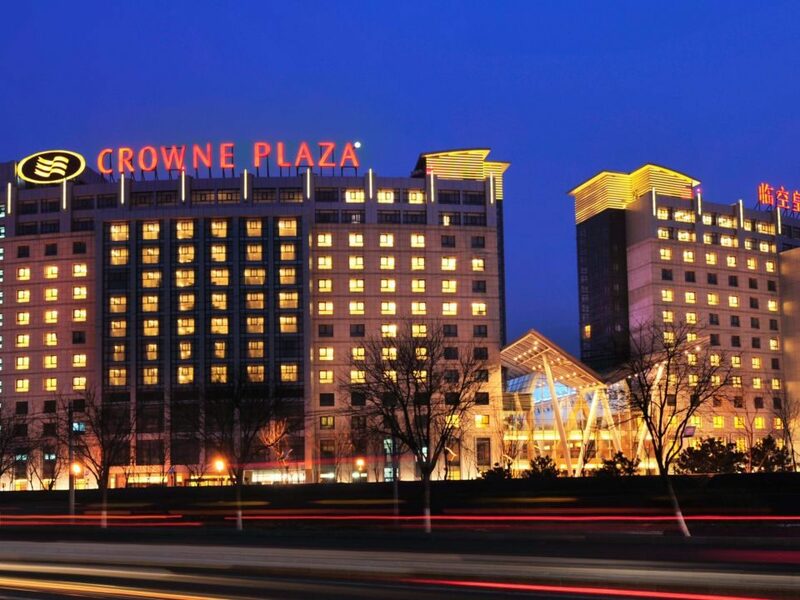 Crowne Plaza Mayur Vihar is located just off the DND flyover. 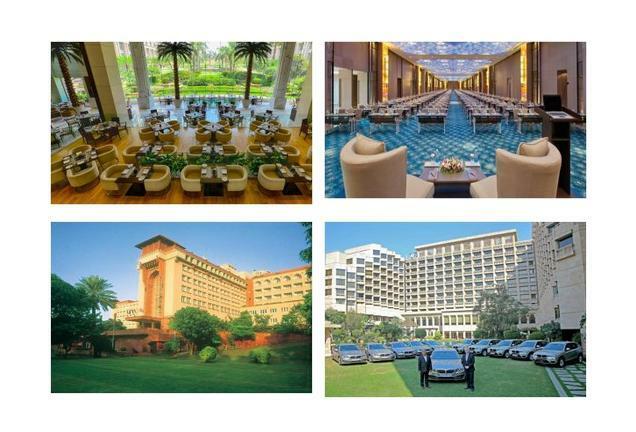 It is a 5 star property just a 20 min drive from the Pragati Maidan and the Commercial Hub of Noida and this proves to be an excellent location for business travelers as well as an ideal venue for weddings and other social functions. 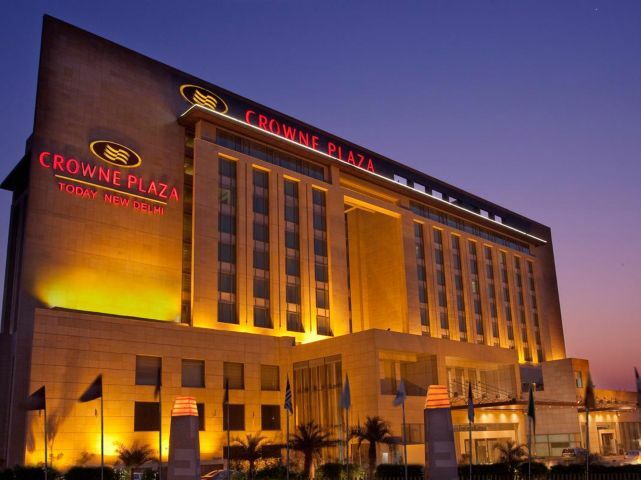 Crowne Plaza Mayur Vihar is a part of Crowne Plaza Hotels and Resorts a chain of upscale properties. It forms a part of Intercontinental Hotels Group. The Intercontinental Hotels Group has many brands under it such as Inter continental Hotels and Resorts, Holiday Inn Hotels and Resorts and Crowne Plaza Hotels and Resorts and operates from more than 52 countries with more than 400 Hotels across the globe. The properties are strategically located in city centre’s, coastal areas, Resorts and cities with major airports. The Crowne Plaza Mayur Vihar is strategically located to provide access to the major tourist attractions such as Akshardham Temple, Humayun’s Tomb, Rajghat, Old Fort etc in less than 20 minutes drive. Besides Shopping centre at The Delhi’s Connaught Place is just 25 minutes drive from the hotel. It is also very near from the Metro Station and the New Taj Expressway providing easy and direct access to the Magnificent Taj Mahal in Agra. Crowne Plaza Mayur Vihar has 160 spacious and well designed rooms with all the modern amenities. The rooms are specially designed meet the comfort and convenience of its guests. Each room features a large window enabling sufficient sunlight into the room and gives a magnificent view of the city. Each room is provided with free morning newspaper, free access to wifi, LCD Tv, tea and coffee maker, bath tub, bathrobe, hair dryer, weighing scale, mini bar and more to make the stay pleasant. At Crowne Plaza, dining options are designed keeping in mind its customers. From fine dining to light snacks they have a livid menu to serve its customers. Besides you can relax at leisure with the convenient In room dining. The following options of dining are available. Infinity Restaurant – It is flooded with natural light and air for a convenient all day dining. They feature a full fledged buffet with local specialities as well as International Favourites. Besides they also have a tempting a la Carte menu to choose from and satisfy your taste buds if one doesn’t wishes to take the buffet. Lounge Bar – Sit over to relax and chit chat with your friends or family with their aromatic coffee or an English High tea with a vide menu of complimenting variety of snacks. They also offer contemporary cocktails made by their specialized bar tenders. Banquet Hall for functions and meetings. 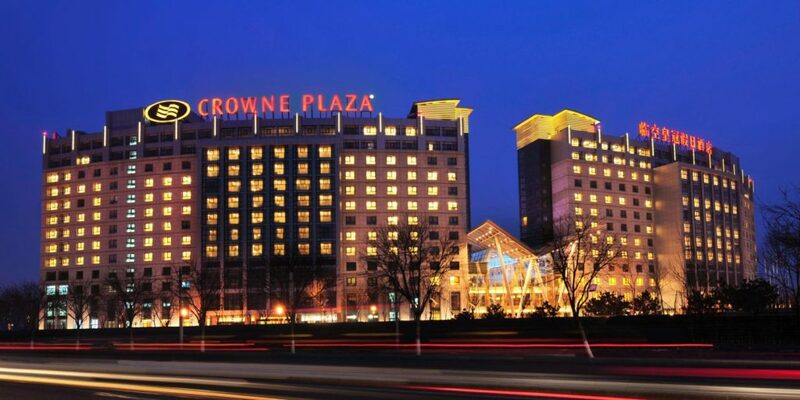 The Crowne Plaza provides with a one point contact for planning and executing any social event, wedding or meeting. They offer customized menus and a range of stationery to aid in creating memorable function. The offer unique space and state of art technology with seamless wifi for the functions. Other facilities at Crowne Plaza Mayur Vihar include outdoor swimming pool, fitness Center,massage, steam, sauna, Eros Spa etc. Besides they also provide with Free Parking facility, 24 hour concierge to assist you with all your needs, laundry and dry cleaning facilities, business Center, doctor on call, baby sitter etc.